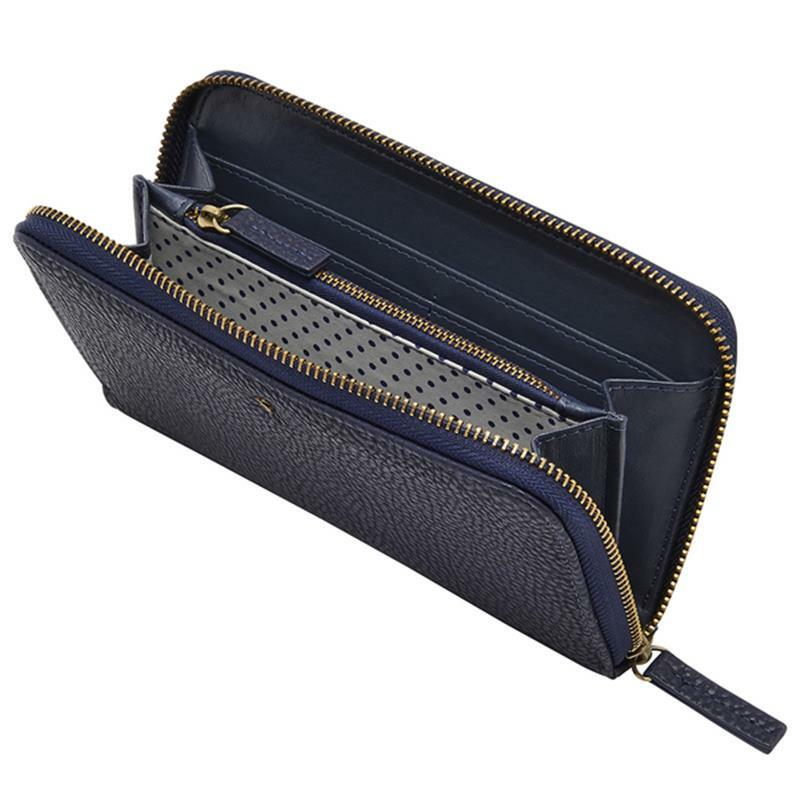 Joules Ladies Fairford Bright Purse - French Navy. The Fairford Bright purse has a lot going for it, a faux leather eye catching purse that has an internal zipped pocket for keeping coins safe, compartments for notes and cards. What every handbag needs. Main: 100% Polyurethane (PU) Lining: 100% Polyester.